No post ideas have popped up this weekend, so I’ll put up a couple of photos that I took during February for my photo-a-day-for-a-year project. There wasn’t a theme, but I did put the photos through instagram’s filters before posting them. The first one was taken February 10. 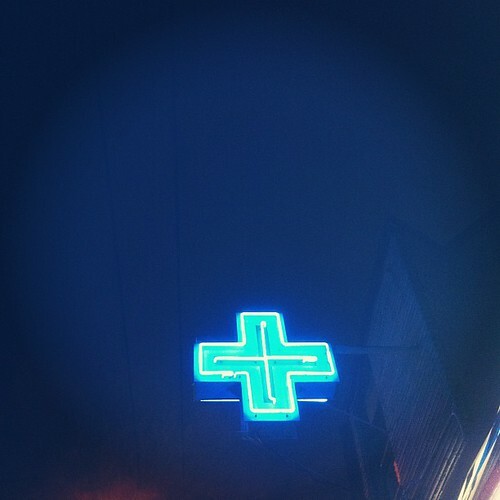 I like how one particular filter created a bluish glow surrounding the neon cross. The second one was taken February 20. 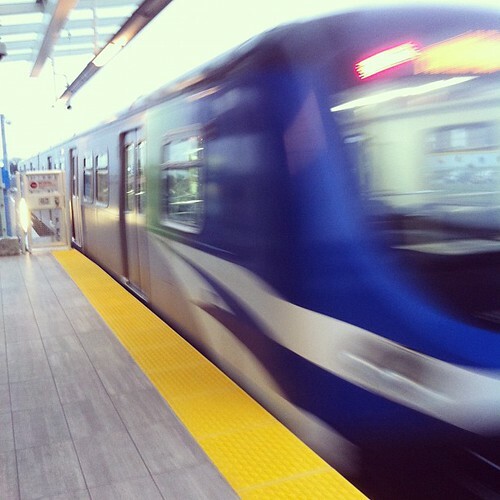 I got the shutter to go off as the train was moving, but before it left the station, creating the blur effect. You can see all the photos I’ve taken during February here, and a set of sets (arranged by month) here. I’m officially one-third of the way done!